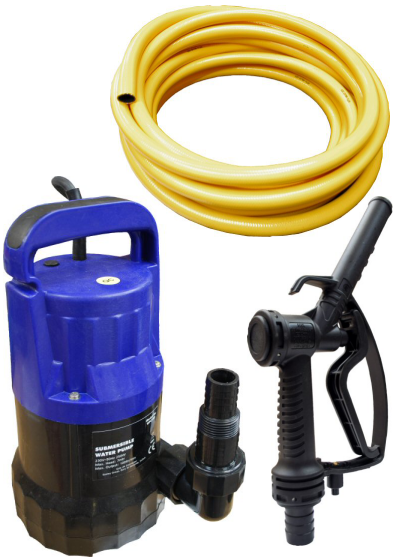 Complete kit including our mains powered 100 litre per minute submersible transfer pump, 5 metres of 1″ high quality braided PVC transfer hose, filling nozzle and stainless steel hose clamps. For the rapid movement of large amounts of water a high volume pump such as this is a must. At a 100 litre per minute rating this transfer pump will have most water fed pole systems filled in a matter of minutes. Simply drop into your storage tank, plug in and go!